(VOVWORLD) - Taste of Australia, the annual celebration in Vietnam of Australian food, beverages, and culture is back this month. 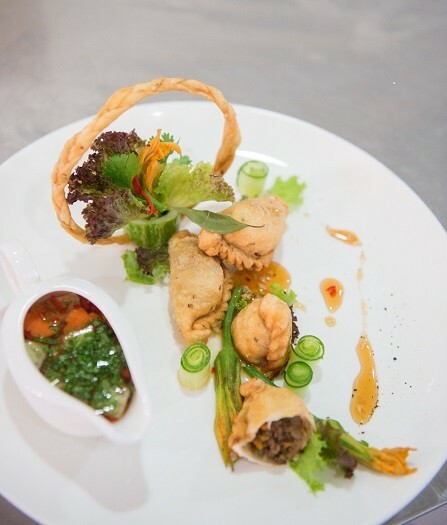 The program includes, among other activities, the Taste of Australia Culinary Competition. 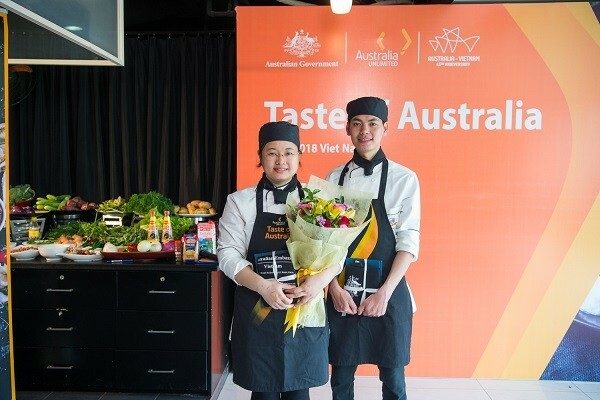 The preliminary round of this year’s Taste of Australia Culinary Competition has concluded in Hanoi with two youngsters from the Pegasus cooking school emerging as winners. Nguyen Thi Huong Tra and Do Quoc Binh impressed the jury board with pillow- shaped cake, a typical Vietnamese dish, using ingredients from Australia. Internationally renowned chef Tracey Lister is a member of the competition judging panel: “In the mystery box today, we have two indigenous products: One is wattle seed, a beautiful yellow flower, and the other one is lemon myrtle leaf. Both are strong spices. We also have some Australian beef, and we have Australian red wine”. With the ingredients provided in the decisive mystery box round, Tra and Binh creatively used the Australian ingredients to make Vietnamese pillow cake. 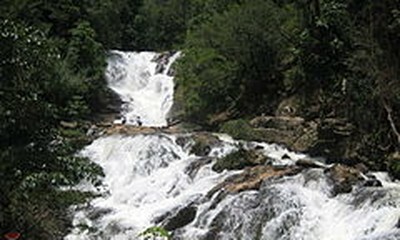 Huong Tra said: “The pastry skin is made in the traditional way by mixing water and rice flour. This time, we tried adding a little Aussie lemon myrtle leaf and had surprising results. The pastry skin is more fragrant and the dry lemon leaf absorbs the moistness of the dough, making the cake skin crispier”. The filling for Vietnamese pillow cakes includes glass noodles, wood ear mushrooms, and kohlrabi. Those ingredients are finely chopped and blended with minced pork and seasonings. In this step, the Pegasus team used beef as the main ingredient: “When making pillow cake, you must pay attention to make sure the filling is not too dry. If you use pork, the fat of the pork helps keep the filling moist. This time, we had to use lean beef, so we thought of adding Australian red wine to make the beef moister. Then, we added spices: shallot, and wattle seed”. Put the filling in the round pastry skin, fold the skin into a shape of a half circle, then skillfully crimp the edges together to make a pillow-shaped cake. Pillow cakes are not baked but deep fried until the pastry skin turns yellow, crispy, and fragrant. The taste of the fried pillow cake is balanced with a dipping sauce made of garlic, chili, sugar, vinegar, fish sauce, and water. Using the required ingredients at the competition, Tra and Binh created their own dipping sauce, which really impressed the jury panel: “We used red wine to replace the traditional vinegar, and surprisingly, the taste went well with the cake. We also make a second thicker sauce using traditional Vietnamese spices for foreigners who are not familiar with dipping sauces”. The Pegasus team will join 3 other teams in the final round of the 2018 Taste of Australia Culinary Competition in Da Nang city on April 20th.